Project Reality does not directly give permission for the use of the Project Reality Mod or its assets/add-ons in any government / military establishment for any form of training or mission rehearsal without the express permission in writing from a representative of Project Reality. As a minimum the electronic messaging via the Project Reality Forums or Private Messaging System will constitute acceptable written form. 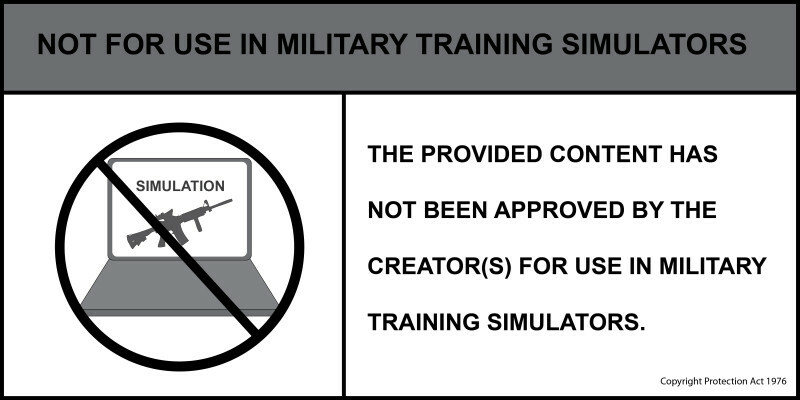 Use of the Project Reality Mod may not be used in the VBS/JCOVE simulator or any other simulator without written authorization from Project Reality. Project Reality Mod by Project Reality is licensed under a Creative Commons Attribution-NonCommercial-NoDerivs 3.0 Unported License. Based on a work at www.realitymod.com.